ZIMMERMAN, BENJAMIN, businessman, jp, and community leader; b. 23 July 1862 in Pereiosleve (Pereyaslav-Khmel’nyts’kyy, Ukraine), son of Nathan Zimmerman and Hudel ———; m. 1887 Minnie Schwartz (d. 1929) in Winnipeg, and they had eight sons and one daughter; d. 12 Sept. 1923 in Vancouver and was buried in Winnipeg. In the wake of pogroms and of social, economic, and political persecution during the early 1880s, thousands of Jews living in the Russian empire immigrated to North America. Included among the several hundred who settled in Winnipeg in 1882 were Nathan Zimmerman and his family. After working as a labourer on the Canadian Pacific Railway, as did many other Jews who lacked capital, Nathan became a pedlar, probably with his son Benjamin, who was based for several months in Donald, B.C., along the railway’s main line. By 1884 Nathan had established a small clothing and dry-goods store on Winnipeg’s north Main Street, where other Jewish businessmen were locating. Benjamin assisted his father. Three years later his mother began to manage the store while his father established a pawnbroking business with Benjamin’s brother-in-law Joseph (John) Levin (Levine). By 1890 Benjamin Zimmerman had formed his own peddling company. Five years later he was a jobber specializing in retail clothing and by 1900 he, too, was a pawnbroker, operating the Manchester, London and Liverpool Loan Office at 630–32 Main, where he and his family resided. In 1901 he was described as having Winnipeg’s “best known and most reputable loan office” and “a splendid reputation for fair dealing and honest business methods.” He made confidential loans on articles of value and was a dealer in new and second-hand goods such as rifles, pistols, and bicycles. Retail jewellery sales increasingly became a mainstay of his business. During 1903, as a result of his financial success, Zimmerman had a three-storey brick building constructed at 671–73 Main Street to house his business. At various times some of his sons worked in or managed his affairs. Others would form their own firms. 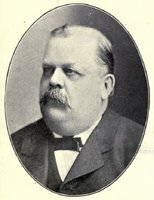 By 1910 Zimmerman had a wholesale liquor and cigar firm, managed by his son Norman; his sons Samuel and William N. were running the loans office and the jewellery and pawnbroking business. His family resided in the fashionable southern part of the city. Probably because of the advent of Prohibition in 1916, possibly also because of failing health, Benjamin was no longer in the wholesale liquor business by 1920. In 1922 his son Abraham was the proprietor of Benjamin Zimmerman and Son, jewellers. In the late 19th and early 20th centuries, Zimmerman was a leader of the growing Jewish community in Winnipeg. In the early 1880s he was president of a small Hebrew congregation, the Anshey Sephard Anshey Russia, and in 1889 he was a founding member of the Shaarey Zedek Synagogue. Later he joined the Rosh Pina Synagogue, established in 1893, and served as president. In 1911 he rejoined the congregation at Shaarey Zedek. Zimmerman was one of the founders of the earliest Jewish charitable organization in Winnipeg. The Hebrew Benevolent Society, established in 1884, provided financial assistance to Jewish families and to general community causes as well as job-placement services for Jewish immigrants. In 1900 he was a member of the Jewish committee of the Canadian Patriotic Fund. Following a series of pogroms in eastern Europe, the most infamous of which occurred at Kishinev (Chisinau, Moldova) in May 1903, Zimmerman became a member of the five-man Kishinev relief fund committee established by the major Jewish organizations in Winnipeg. In addition, he served on the executive and the board of directors of the United Hebrew Charities, formed in 1910. Two years later he helped organize the Hebrew Immigration Society of Winnipeg. The same year Zimmerman was a founder of the Hebrew Free School. He was also one of the earliest members of Winnipeg Lodge No. 650 of the Independent Order of B’nai B’rith and a member of the Oddfellows and of the Ancient Order United Workmen. Zimmerman’s involvement in politics is notable as an example of ethnic political acculturation and because of the influence his positions likely had on other Winnipeg Jewish electors. During the 1890s he alternately supported the Liberal and Conservative parties, but he would become a Conservative after 1900. 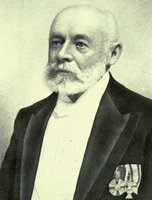 During the federal election of 1896 he spoke at a meeting of the Hebrew Independent Political Club, which supported Conservative Hugh John Macdonald, probably because the incumbent, Liberal Joseph Martin, had made disparaging comments about “Jew peddlers” in the House of Commons. In the absence of a Conservative candidate in the by-election held the following year after the invalidation of Macdonald’s election, Zimmerman supported the unsuccessful independent candidate, Edmund Landor Taylor. In November 1898 Zimmerman was appointed a jp by the provincial Liberal government of Thomas Greenway*, who wished to rebuild a political bridge to the Jews of Winnipeg. In this capacity, Zimmerman sometimes occupied the bench in the Winnipeg police court, where, one observer commented, “his impartial and judicial decisions earned him the highest respect of all classes of the community.” He would remain a jp for almost 25 years. In the municipal and federal elections of 1904 Zimmerman endorsed Conservative candidates. In March 1908 he was elected by acclamation to the 18-member executive of the Hebrew Conservative Club. During the federal electoral campaign of 1911 he supported the incumbent, Conservative Alexander Haggart, speaking in Yiddish on one occasion against reciprocity with the United States. At a meeting called by Jewish alderman Altar Skaletar in June 1914, he put forward a motion and spoke against the Winnipeg City Council and the Winnipeg Trades and Labor Council for adopting anti-immigration positions during the economic recession of 1912–14. In order to regain his health – he suffered from Bright’s disease – Zimmerman and his wife moved to Vancouver about two months before his death. He was described by the Manitoba Free Press as a “a prominent figure in Jewish community affairs,” and by the daily Israelite Press as one of Winnipeg’s “most distinguished residents.” His tombstone stated simply that he had “devoted his life to Judaism.” He was a representative of the hard-working first generation of eastern European Jewish immigrants who became financially successful and integrated into the larger society. Jewish Hist. Soc. of Western Canada Arch. (Winnipeg), Newspaper database. Man., Legislative Library (Winnipeg), Biog. scrapbooks, B7: 219; B9: 187; M11: 255. Private arch., Henry Trachtenberg (Winnipeg), Telephone interview with Ruth Gotlieb Zimmerman Portigal of Winnipeg, a great-niece of the subject, 1998. “History of the Jews of Winnipeg,” Reform Advocate (Chicago), special issue, 1914 (mfm. at Man., Legislative Library). Israelite Press (Winnipeg), 14 Sept. 1923. Manitoba Free Press, 9, 13, 16, 18 July 1892; 1 Dec. 1899; 5, 9 Nov. 1900; 13 Dec. 1904; 20 Sept. 1911; 9–12 Dec. 1912; 16 June 1914; 13 Sept. 1923. Winnipeg Telegram, 1, 8 Dec. 1899; 5 Nov. 1900; 21 May 1903; 28, 31 Oct., 1 Nov. 1904; 2 Dec. 1905; 6 March, 11, 25 May 1908; 8 July 1910; 8, 19–20 Sept. 1911; 8 June 1914. Winnipeg Tribune, 9, 13, 16 July 1892; 9 June 1896; 23 April 1897; 5, 8 Dec. 1899; 3, 8 Nov. 1900; 1 Nov., 13 Dec. 1904; 6 March 1908; 13 Sept. 1923. A. A. Chiel, Jewish experiences in early Manitoba (Winnipeg, 1955); The Jews in Manitoba: a social history (Toronto, 1961). Directory, Winnipeg, 1893–1923. Harry Gutkin, Journey into our heritage: the story of the Jewish people in the Canadian west (Toronto, 1980). The Jew in Canada: a complete record of Canadian Jewry from the days of the French régime to the present time, ed. A. D. Hart (Toronto and Montreal, 1926). Rosh Pina congregation; dedication volume: 1892–1952 (Winnipeg, [1952?]). H. M. Trachtenberg, “The old clo move: anti-semitism, politics and the Jews of Winnipeg, 1882–1921” (phd thesis, York Univ., North York [Toronto], 1984). G. G. Weatherhead, Congregation Shaarey Zedek; one hundred years: 1889–1989 (Winnipeg, 1990). Henry Trachtenberg, “ZIMMERMAN, BENJAMIN,” in Dictionary of Canadian Biography, vol. 15, University of Toronto/Université Laval, 2003–, accessed April 26, 2019, http://www.biographi.ca/en/bio/zimmerman_benjamin_15E.html.